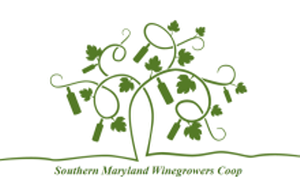 Southern Maryland Wine Growers Cooperative (SMWGC) cooperative was formed in 2007 as the region began to transition away from tobacco production to other agricultural pursuits. The potential for the emerging wine industry to positively affect agriculture and tourism in Southern Maryland was recognized and supported by the state of Maryland, the local government, and farmers. Partnering with St. Mary's County and Leonardtown, interested farmers and others with a passion for wine set in motion a plan to ensure the success of wine grape growing in Southern Maryland. The SMWGC formed as the first agricultural cooperative in the state of Maryland leading the way for viticulture and future wineries. Repurposing the former State Highway Administration buildings, the SMWGC entered into a lease agreement with the Town of Leonardtown in 2009 to operate the Port of Leonardtown Winery making it the first commercial winery in St. Mary's County. The tasting room opened in May 2010 as a promotional outlet for our locally grown grapes and locally produced wine. Currently we have 12 cooperative vineyards from St Mary's, Calvert, Charles, and Kent counties. Our winemaker, Lauren Zimmerman, continues our tradition of high standards for our award winning wines. Our selection of fine wines continues to grow as we add new selections to our already outstanding list of wines. Since opening in 2010, we have won over 150 awards including multiple Best in Class awards & many international medals. The mission of the Southern Maryland Wine Growers Cooperative is to promote the wine industry in Southern Maryland while producing a good economic return to investors and members. We will work to keep Southern Maryland farmers farming, preserve the region’s land, environment, and rural way of life, while making a positive contribution to the regional economy, and sharing our passion for grape growing and wine making by producing quality wines at reasonable prices.